Okay, so he may not have been my first choice of someone to play the Joker in Christopher Nolan’s follow-up to Batman Begins, but I never though Heath Ledger would make a bad Joker. 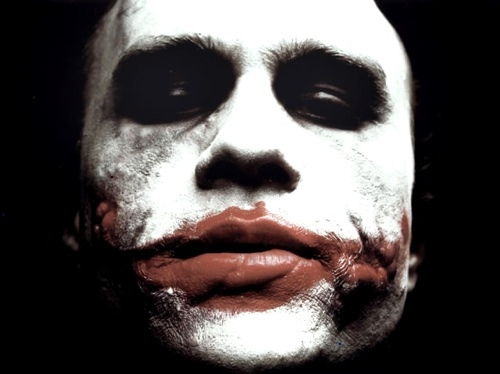 Now they’ve released the first picture of Heath Ledger in Joker make-up, and… my goodness, this is shaping up nicely, isn’t it? I really like the move away from the traditional demented clown look into a more gritty, Ichi the Killer-style scar. Although I still think it’s a shame we’ll never get to see what Vincent Cassel could have done with the role.